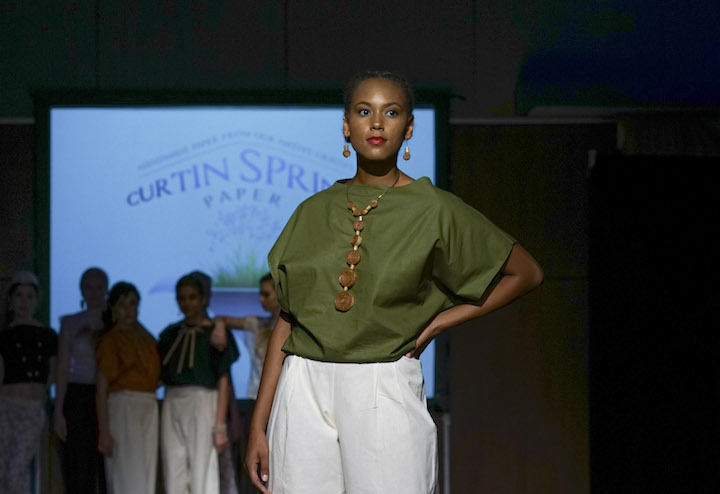 From a remote cattle station in the middle of the outback of Central Australia comes a unique and eco-friendly jewelry line from Curtin Springs Paper. On the 1,028,947 acre Curtin Springs Station which is also a tourist destination, the company uses native grasses to create handmade paper, which in turn has been used to create jewelry. 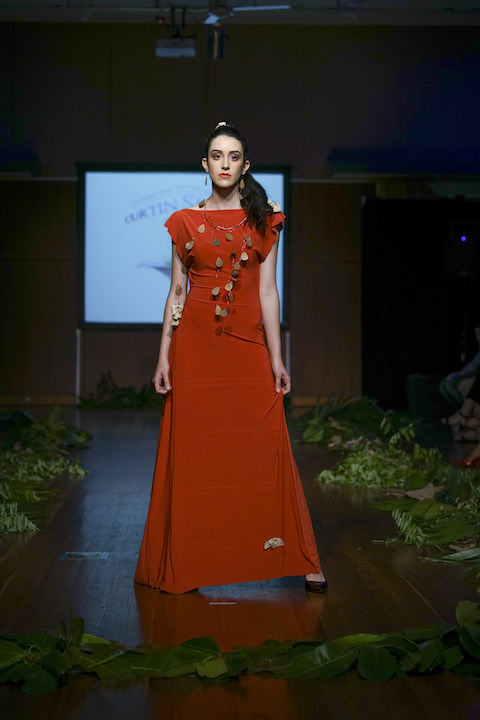 This was the second year Curtin Springs showcased at Eco Fashion Week Australia, and their line has definitely expanded since we saw their Red Heart Collection last year. Their jewelry business came about when handmade paper designer Amee Porter told her mother that they could use their paper to make beads and the beads to make jewellery. 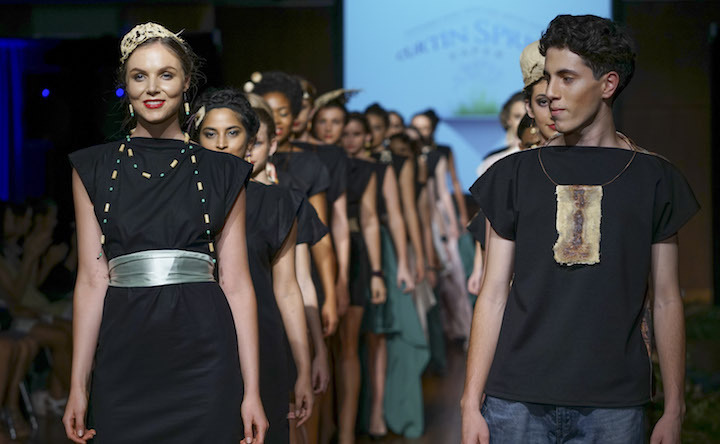 Last week, Curtin Springs presented over 30 pieces at Eco Fashion Week Australia (Port Douglas). The collection featured necklaces, neck pieces, earrings, bracelets, as well as paper hats and vests. 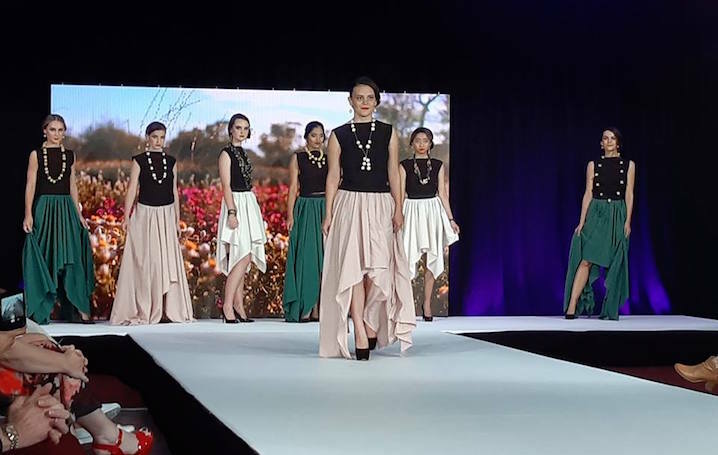 This year they upcycled tablecloths, sheets and fabric seconds, and used old lace to create the clothing worn to highlight the jewelry. The clothing was a beautiful collection unto its own. Curtin Springs is located 400km from the nearest store, so using what is on hand, upcycling, and reusing is essential to their production. They hand cut the grasses, making sure the integrity of the plant is not impacted. The water they use is all bore water from underground. All the wastewater is retained onsite, filtered through sand dunes before returning to the rock strata that holds the water. Old items of equipment to make paper are used and reused, and recycled shower curtains and sheets from the accommodation part of their business is used for pressing their paper creations. They collect flowers to include in the paper and jewellery, and even use cow waste (cooked) to include in the paper, as well as cut tail hair from cattle. Porter says their jewelry is inspired by everything that is the Curtin Springs Station — the plants and wildlife, and life at the station, "We have mothered and cared for and released birds, micro bats, kangaroos, emus and calves. We have a 360 degree horizon, more stars than anyone else normally sees and we can watch the full moon rise as the sun sets every month. We have salt lakes that change as you watch, and the magnificent Mount Conner which moves through all shades of orange to deep purple through the day. If I ever feel stuck, I just go for a walk or a drive out onto the property. There is always something that will catch my eye and germinate the next idea. Most of the time I feel like I have more ideas than I will ever have time to produce them." Curtin Springs is also a shining example of eco tourism with the cattle station offering lodging, walks in nature, and tours featuring their paper making process. They also offer an artist in residence program. Curtin Springs also showed in Fremantle, Perth on November 17. 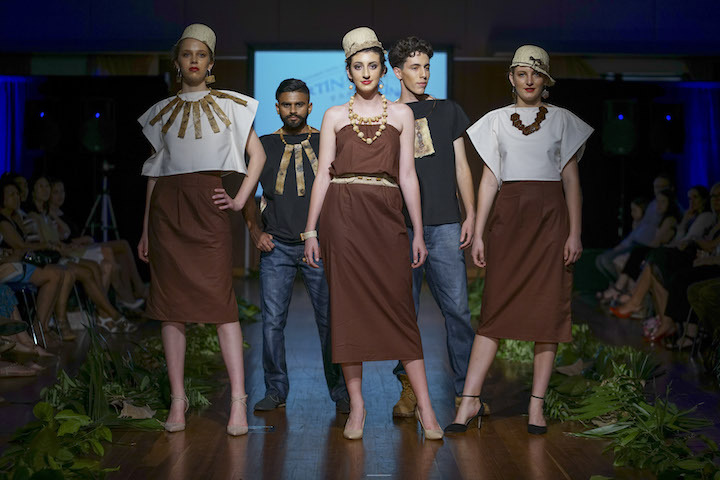 All details are at ecofashionweekaustralia.com.